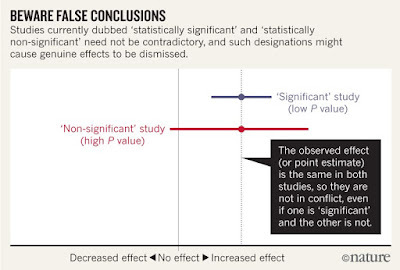 Sick of seeing unwarranted claims of non-association or overconfident claims in scientific literature, in a Comment published in Nature, Valentin Amrhein, Sander Greenland, Blake McShane, and more than 800 signatories call for an end to the false belief that crossing the threshold of statistical significance shows a result is real. 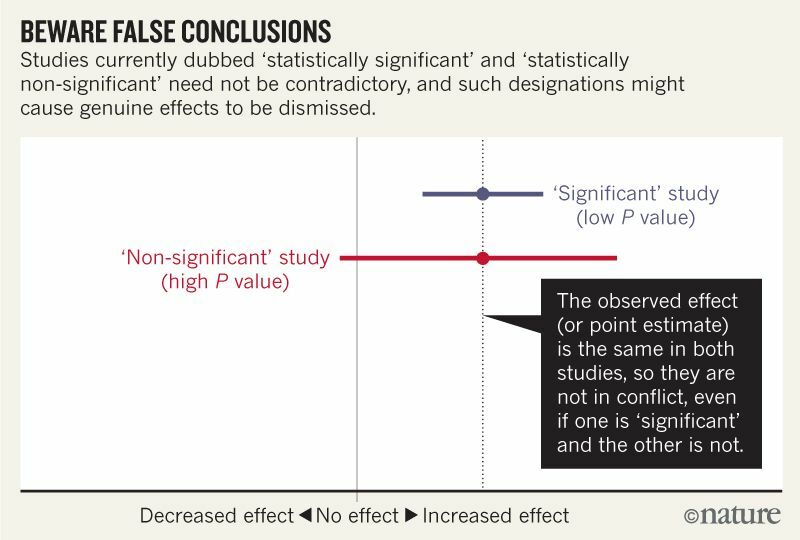 The authors state that such “dichotomania” has led scientists and journal editors to privilege such results.They advocate that we no longer treat p values, confidence intervals, or other statistical measures as categorical, and learn to embrace uncertainty. They suggest statistical significance be retired, and confidence intervals be renamed “compatibility intervals” and interpreted in a way that avoids overconfidence. The authors also encourage ongoing monitoring of the literature for statistical abuses.